Major misconceptions continue to weaken efforts to make gender-sensitive peace mediation a reality. Here are six persisting myths standing in the way of progress. 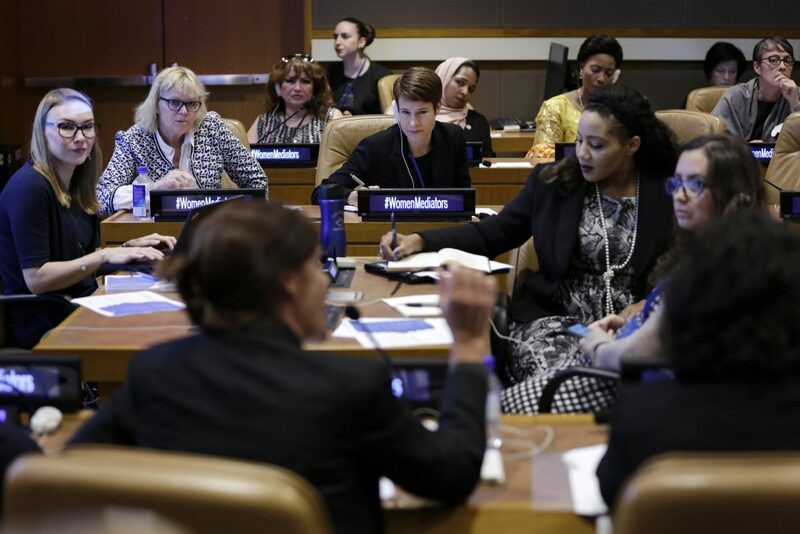 Strengthening women’s role in peace processes has been a priority of the international community since the adoption of United Nations Security Council Resolution 1325 on Women, Peace and Security (WPS) in 2000. Greater efforts by policy-makers, academics and practitioners have been committed to promote inclusive and gender-sensitive peace processes. Next week, the UN member states will meet in the General Assembly for its 73rd session. As in previous years, we expect to hear their statements highlighting women’s role in peacebuilding and the need for more inclusive and gender-sensitive peace processes. Nearly two decades after the landmark resolution, why is the implementation sorely lagging? Gender-sensitive mediation can be understood as i) ensuring women’s participation; ii) bringing women’s perspectives that contributes to different understandings of the causes and consequences of conflict; and iii) peace agreements that are responsive to the specific needs of women and girls, men and boys. In “7 Myths Standing in the Way for Women’s Inclusion”, Inclusive Security captured the pervasive misconceptions that obstruct efforts to make peace mediation inclusive and gender-sensitive. After half a decade since the myths were captured, we ask ourselves: do these myths still exist or have they already been busted? When it comes to peace agreements, concerns about whether ‘women’s issues’ are properly addressed are commonplace. Though well-meaning, the concern is misled. Are there really issues that affect only women? What matters on peace and security would not concern women? Conflict affects men and women differently, but this is often taken to mean that certain topics are relevant for one gender only. Participants in this session discussed how the misconception pervades mediation discourse and practice and how women leaders are regularly invited to share their views on ‘women’s issues’ as if these would be easily distinguished from other issues. How many men have been asked to comment on ‘men’s issues’, and what would those be? The language of ‘women’s issues’ may risk limiting women’s political space to contribute and is out of touch with the reality that all issues tackled in peace processes concern men, women and other genders. They may do so in different ways, and appreciating these nuances is at the core of a gender-sensitive approach. 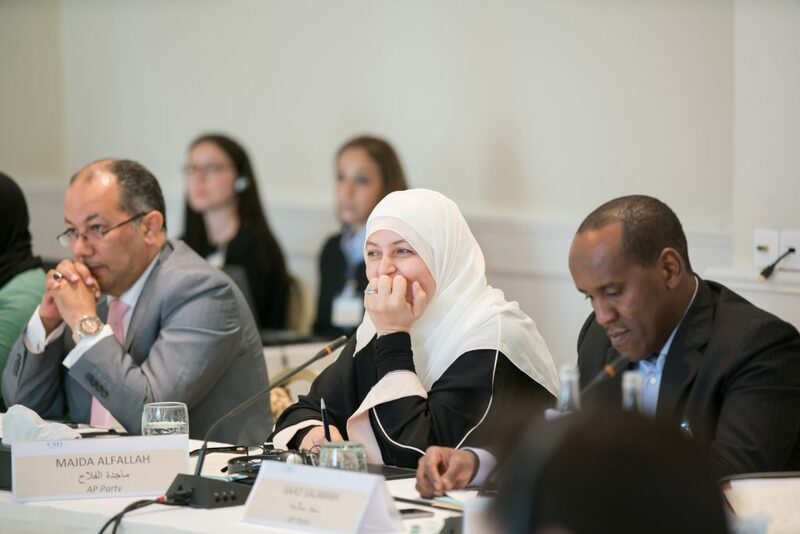 Politician Majda Alfallah has participated in a CMI-facilitated dialogue between Libyan political parties. Photo: Riku Isohella. “We are always too late” is a sentiment that resonates across conflict-affected countries, from Colombia to Myanmar and South Sudan. The question of involving women usually comes up when formal talks are convened, long after pre-negotiations, consultations and agenda-setting have already started. Ironically, this early phase is a time when a broad range of perspectives about the drivers of conflict and peace are most needed. It is also when preparations for mobilization, capacity-building and interest-formation can take place. It was noted that bringing women in half-way through is, at best, a half-hearted effort, and often results in quick fix measures along the lines of “add women and stir”. The appointment of gender advisors to mediation teams has become common practice, which is a laudable development. Presence of gender advisors is not however a magic bullet for ensuring a gender-sensitive process. Too often their appointment seems to be taken as a tick in the box: as if the mere presence of gender advisors guarantees a gender-sensitive process. But the effectiveness of gender advisors’ work hinges on the wider mediation team, and above all, on cooperation with national stakeholders. 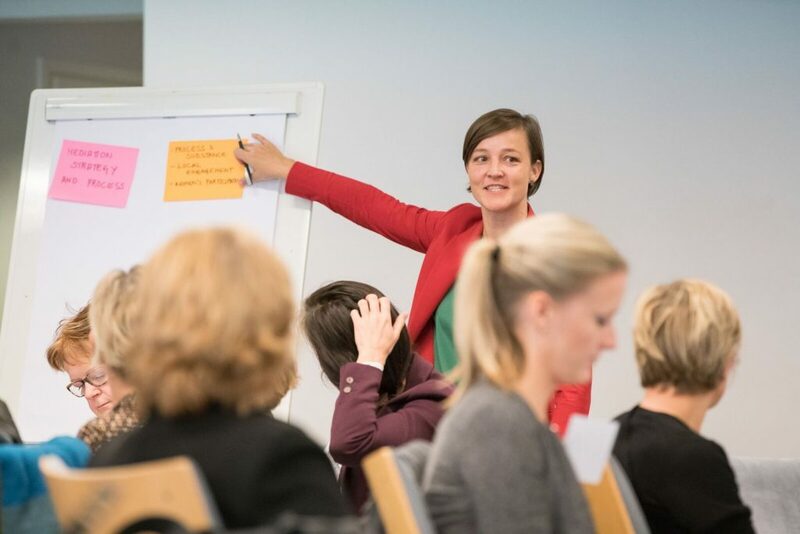 Gender-sensitive conflict analysis and mediation are a team effort, in which a dedicated advisor can be a valuable resource – but not the sole author or implementer. Importantly, gender advisors are not there to replace the involvement of women’s representatives from the country in question. Their work is rather to strengthen the channels for engaging national stakeholders. Another obstacle to women’s participation in peace processes is the perception of women as depoliticized subjects, or mere voices, rather than as actors in their own right. Women are also repeatedly seen as a homogeneous group who has a same voice that talks about ‘women’s issues’. As expressed by one panelist, “women have been frequently perceived as voices, but we are more than that, we are agents, not just voices. That role alone strips women of agency and ownership.” This perception is embedded in the language of global peace and security, which tends to portray women as passive, fragile victims in need of protection. The ‘protection’ pillar of UNSCR 1325 has often been the main focus, overshadowing the participation and prevention of conflict aspects of the women, peace and security agenda. Moreover, women’s voices are rarely truly heard; until and unless they translate into concrete provisions in peace agreements and resources for implementation. International peace mediation is often portrayed as some sort of “political magic” that takes place in smoke-filled rooms. Participants addressed how this hinders women’s access to peace negotiations. The ideals that underpin such narrow view of mediation privilege certain men for appointments. If military expertise and camaraderie are prerequisites for mediators, options for choosing women to these positions can be limited. It is vital to dismantle the image of mediation as some enigmatic political game played by charismatic, mysterious personalities. The focus should rather be on professional skills and technical expertise, backed by the necessary political mandate and standing. 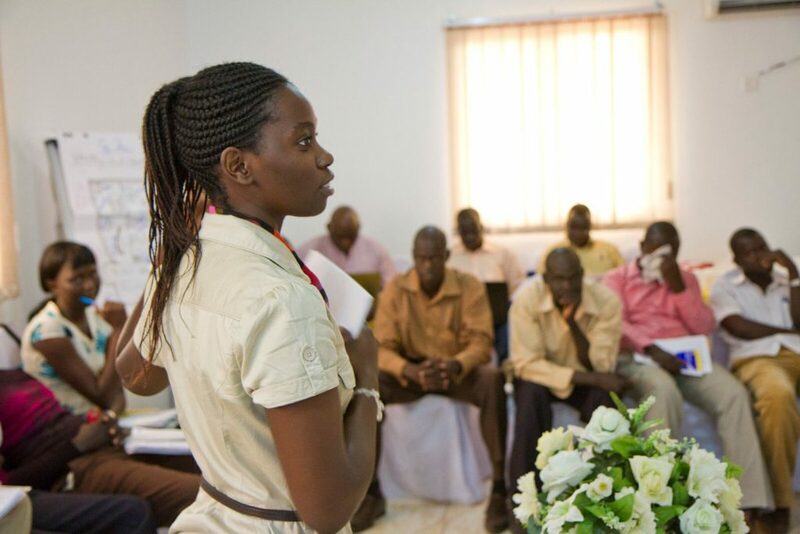 The CMI-supported Youth Platform for Dialogue and State-Building in South Sudan wrapped up its work in June 2015. Young leaders from all over the country arrived for the last workshop. The discussion at the Stockholm Forum 2018 highlighted that it is these persisting myths about women, men and mediation that stand in the way of progress towards gender-sensitive peace processes. The language and the words that we use shape our thinking, and our actions. We can start busting these myths only by being aware and critical of the way we talk about peace mediation and the roles of women and men therein. A gender perspective concerns all aspects of society such as economy, social, cultural, behaviors and relationships. All issues are women’s issues and everything that is addressed in a peace agreement has gendered aspects. This should be acknowledged in policy discussions on arenas such as the General Assembly, in order to make gender-sensitive peace mediation a reality. This article has been co-authored by SIPRI and CMI. The blog post can also be found at SIPRI’s website.